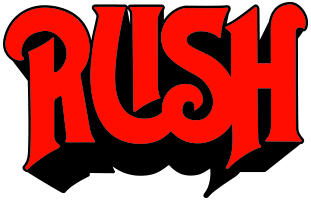 Due to recent flooding and water damage at the Scotiabank Saddledome, the RUSH concert originally scheduled for Wednesday July 24 had to be cancelled. Rush has been moved by the situation in Alberta and have decided to perform their Clockwork Angels show at the closest location possible on the same date — Wednesday, July 24 in Red Deer, Alberta at the Enmax Centrium – and have ALL PROCEEDS to go Alberta Flood Relief. Rush will be donating their fee, and paying for all their expenses. Their promoter partner Live Nation will also be donating their time and fees towards this cause. The venue, Enmax Centrium, will be donating goods and services to the event as well. It’s an all —hands-on-deck situation to donate time in order to raise as much money possible for our Alberta friends and fellow Canadians in need. All tickets purchased online or via telephone will be automatically refunded starting on July 12th. Tickets purchased in person from a Ticketmaster outlet can be refunded at the original point of purchase outlet, starting July 16th. Tickets purchased in person at the Scotiabank Saddledome Box Office can be refunded at the Box Office, which is now reopened. ALL PROCEEDS FROM THE RED DEER RUSH BENEFIT CONCERT WILL GO TO THE CANADIAN RED CROSS TO SUPPORT THE ALBERTA FLOOD RELIEF.